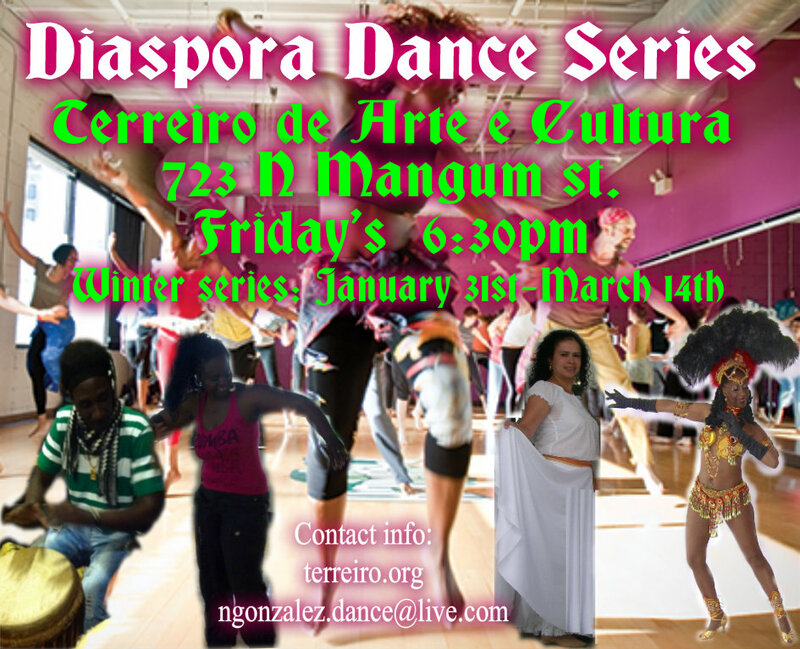 A six week dance series that will explore the many dance styles of Africa and the Diaspora with a creative collective of skilled instructors who are knowledgeable of their culture’s dance and music. Students can sign up for the entire six week series or attend any class for the drop in rate to experience any style of their choosing. The Winter Series will feature Samba Axe from Brazil, Bomba y Plena from Puerto Rico, Sabar Dance from Senegal West Africa and Afro fusion a fusion of West African ,Haitian and Afro-Cuban dance to the sounds of live Drums ,Afro beat, Soca and Dancehall music. All levels are welcome. Have Fun. Get Fit. Let’s Dance!! !